Scotch-Brite™ hand pads, sponges, scourers and 3M Post-its Extreme. 3M’s innovative solutions help ensure the quality and safety of your products for consumers. 3M provides solutions that help mitigate risk, improve operational efficiencies and impact the bottom line. Our dedicated team of local and global professionals offers unmatched technical service and support. 3M is a dedicated partner protecting the global food supply, helping our customers bring quality and safety to the table and protecting their brand and reputation. ABurnet understands that solutions for hair containment are not just about products but are crucially about people; the employees who wear our products together with the work practices they follow. By using our technically advanced HairBarrier fabrics and ABurnet’s HairBarrier ToolsTM, we help you drive your hair hygiene performance forward and grow your business. We are proud to be the only company to manufacture HACCP approved head coverings. Altro provides the full wall and floor solution for commercial kitchens, food retailers and food & drink processors. Give germs Nowhere to Hide – Altro floors and walls do not crack or chip like ceramic tiles. The paint that turns your walls into a natural air purifier. Airlite is a 100% natural solution for bars, restaurants, hotels and hospitality businesses. Available in 180 elegant colors Airlite is easy to apply & VOC free. Long term EHEDG member and now the first approved tile manufacturer by HACCP International worldwide. UCRETE industrial flooring is a unique suite of products offering a range of surface profiles and performance specifications. These floors have exceptional resistance to aggressive chemicals, heavy impact and thermal shock. Baxx kills airborne bacteria and virus, as well as mould and fungus spores by disrupting their cell metabolism. No filters, no chemicals, no radiation and no servicing. A global leader in refrigeration and heating controllers. An extensive range of smart solutions for temperature control, logging and alarm management to assist with HACCP compliance. CHAMPION was founded in 1994, which is an international brand providing professional hygiene programs, as well as a sanitizing, cleaning and dishwasher manufacturer. We create hygiene and environmental products, cultivate professional talents, assist enterprises to improve hygiene quality by comprehensive and environmental solutions. Cool.it is a next-generation cold chain management system that collects real-time temperature data from production, transportation, storage, distribution and the supermarket. It’s cloud-based control platform offers single-view access to all data points via computer, mobile phone, and tablet, and relevant data is displayed on simple, easy-to-read dashboards. Documentation for traceability and compliance is automatically compiled and presented in reporting formats. The Deb Food programme is designed specifically to improve hand hygiene compliance in food handling environments by helping to prevent cross-contamination of food and occupational skin disorders. Hand washing and drying equipment. The Dyson Airblade™ hand dryer is the fastest and most hygienic hand dryer, filtering incoming air to remove 99.9% of bacteria before it’s blown onto hands. Powered by Dyson’s digital motor, it dries hands in just 10 seconds and uses up to 80% less energy than warm air hand dryers, offering significant savings on running costs in comparison to conventional hand dryers and paper towels. Electrolux Professional provides best-in-class solutions and innovative products with excellent features and services to meet the needs of even the most demanding customers. Electrolux Professional supplies more than one third of the star-winning restaurants on the continent and remains a strong market leader in the professional laundry business. Electrolux Professional enjoys a leading position among professional users in all the businesses we serve around the world. We focus on the delivery of total solutions: customer-focused systems that are expertly integrated into your business process. By simplifying processes and sharing our knowledge, our wide product range enables us to add value to your business. Years of experience has led to high-quality products. Thanks to the broad possibilities of our products, we offer a solution for every challenge. We have a Passion for Hygiene! The name Essity stems from the words essentials and necessities. Our sustainable business model creates value for people and nature. Flowcrete Australia’s ultra hygienic, antimicrobial, gloss-finish polyurethane flooring range Flowfresh provides the ultimate in food safe flooring, performance and aesthetics. Flowfresh provides superior antimicrobial protection thanks to an exclusive global partnership with Polygiene®. Utilising a natural silver ion based technology; Polygiene® proactively kills bacteria on the surface of the floor up to 99.9%. With global offices, manufacturing plants and sales teams in 32 countries supported by over 30 years experience in the resin flooring industry, Flowcrete is positioned as a world leader in resin flooring. Flowcrete Australia delivers specialist food and beverage facility flooring solutions to Australia, New Zealand and the Pacific Islands. The tailor – made, highly efficient systems from Hidria GIF represent a complete system for large catering establishments which is flawless in terms of ventilation, air conditioning and hygiene. GREEN DRAIN™ is an environmentally friendly water free trap seal, which can be installed in basically all floor drains without the use of tools and allows the flow of WATER & DEBRIS while blocking GASES, ODORS & PESTS. Hoshizaki specialize in ice machines around the world. The company has rightfully gained an international reputation for sustainable innovation, quality and reliability. All machines are designed and specified by Hoshizaki’s dedicated Japanese Research and Development team, which ensures Hoshizaki continues to devise innovative and sustainable products that cement the company´s position as one of the world’s most visionary suppliers. Our company, ITALCHIMICA SRL, was founded in 1988 and soon established itself on the building market for its punctuality, service and product quality. With a continuous growth process since its birth, Italchimica is today leader in Italy by revenue in its specific market sector and is strengthening its position in the territory through agreements with other companies in the sector. This development was also made possible thanks to the large investments made at the Opera plant, which allowed a doubling of production capacity and obtaining product and process certification for sales in particular sectors subject to qualifications. 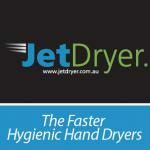 JET DRYER the faster more hygienic hand dryers, offering an energy efficient electric hand dryers. Jet Dryer are providing the latest designs in electric hand dryers, removing 99.9% of bacteria from the air when drying your hands using a H13 grade HEPA filtration. With drying times of as little as 10 seconds we provide one of the fastest drying times on the market. With 70% savings on conventional electric hand dryers and approximately 95% savings compared to paper towel making our hand dryer range more cost effective. Jet Dryer are now proudly certified and endorsed by HACCP Australia for the food industry. Kuraray Kuraflex Co., Ltd. is a nonwoven manufacturer in Japan. We’ve been producing and supplying the kitchen wipes for the food industries for over 45 years. With the good quality and the stable supply, we get much fame from the market all over the world. The LODI GROUP has been one of the major leaders on the pest control market in France for over thirty years, and is also a prime player internationally. We provide our expertise and solutions to assist professionals in three sectors of business: public hygiene, protection of stored foodstuffs and livestock farming. The Lodi Group specializes in insect and rodent control products, and offers broad product ranges to deal with the different types of issue faced by its clients. Design and manufacturing of commercial/industrial coldrooms. Misa is a brand of the Epta group, specialized in design and manufacturing of commercial/industrial coldrooms. Established in 1969, Misa is a leader in the refrigeration sector, offering state-of-the-art quality and safety food preservation technologies. With the Misa range of products, customers can build up from a small self- service modular room to large areas used as a logistic base and for slaughterhouses, and, have a choice of small units to large sized hermetic units and rack systems. Rentokil is the world’s leading commercial pest control company providing the highest levels of risk management, reassurance and responsiveness to customers. Across the world, businesses and homeowners trust Rentokil to solve their pest problems. We offer a complete range of pest control services from rodents to flying and crawling insects, to other forms of wildlife management. Different countries have their own individual challenges from snakes in South Africa to termites in America. We have a strong innovation pipeline. Our global technical centre provides effective and innovative solutions for pest control with specific emphasis placed on health, safety and protection of the environment. 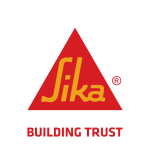 Sika, offers a comprehensive solution to sealing and protection in commercial and industrial food facilities. Sikaflex, Sikafloor and Sikagard systems provide long term resistance for floors, walls chemical bunded areas. Long term resistance from aggressive chemicals, thermal shock, impact and abrasion. Sikafloor PurCem provides fast turn around flooring that will stand the test of time in the most demanding environments. We also provide advice in the design stage for greenfield sites as well as solutions for refurbishment of existing production facilities. Silikal GmbH – a global partner for first-rate industrial flooring is specialized in the production of reactive resins – made in Germany – for heavy-duty flooring for professional applications in industry, trade and commerce. Silikal MMA floor coatings are fast curing, easy to clean and maintain, available in many attractive colours with excellent chemical resistance. Stonhard has been a leader in manufacturing and installing high performance epoxy and urethane floor, wall and lining systems for 94 years. Seamless, durable, chemical resistant and easy-to-clean floors are engineered for safety, performing and protecting in the most aggressive food environments without sacrificing design innovative vision. VIACOR uses polymers and liquid plastics to produce a full range of floor coatings from the traditional through to special heavy-duty, conductive, decorative or chemical-resistant systems and even parking deck coatings. VIACOR’s VIACRETE Polyurethane screed systems offer additional benefits by incorporating reactive anti-microbial technology. A special formula provides high-performing, extremely robust flooring surfaces for mechanical, thermal and highly chemically stressed industrial surfaces, which can be used for many years. We have designed and produced a European hand dryer together with our German partner, and have been increasing market share by receiving favorable reviews in Europe, North America, Oceania, Russia and etc.